The elections for the 2017-2018 academic year Student Government Association took place just a couple weeks ago. The Student Government Association or SGA represents the undergraduate student body. This group listens to student comments and concerns, plans campus-wide events, and much more. The new SGA has a lot to live up to, as it seemed like there was an event every single day of this semester. Some of my favorite events include paint night, the spring concert, and just a simple pizza party in Fels. 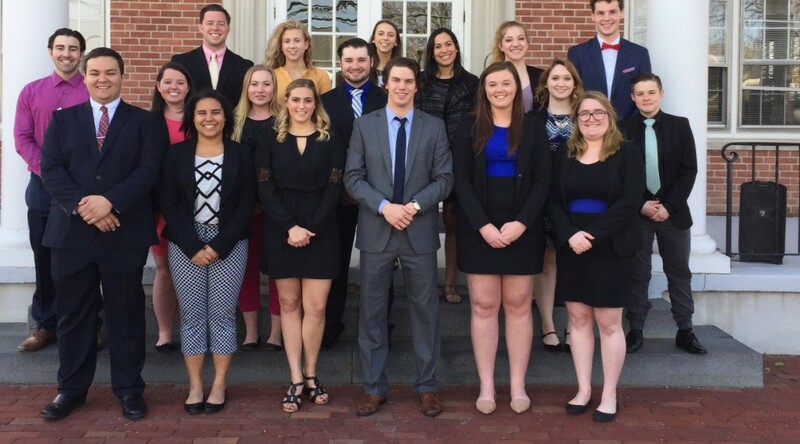 Within SGA there is a main board, which is the Executive Advisory Board or EAB, as well as the Senate, which consists of a board from each class. Each position within the EAB and Senate were open to the student body for election. The Executive Advisory Board winners are listed below. This year’s Senate winners are listed below. If you see them around campus, be sure to congratulate them. We are all very excited to see the great things they will do in the upcoming academic year!